If you don’t know what Control4 is, allow us to explain: Control4 is the premier smart home control brand, a single system that can manage thousands of compatible devices. 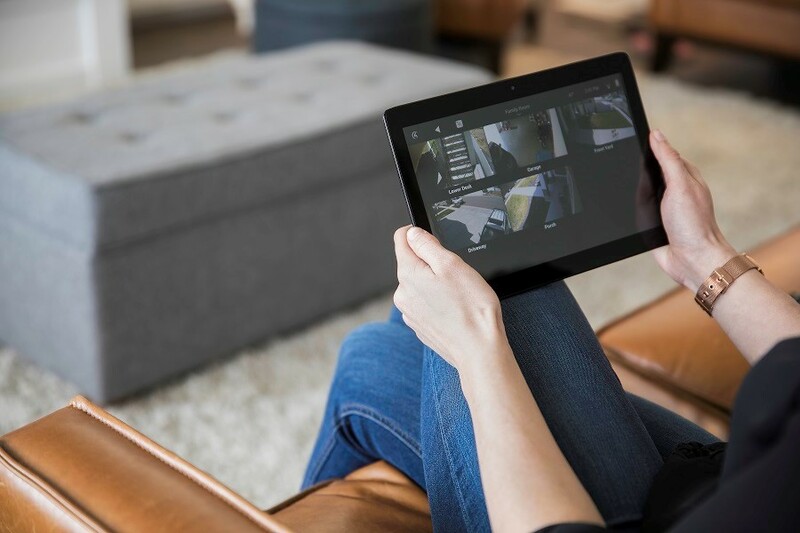 From one Control4 user interface, you can control every technology from your home – from your lights to motorized shades to audio-video devices and, yes, your home security system. Our team will install some of the best security and Control4-compatible technologies throughout your house to safeguard your property – including cameras, smart locks, sensors, alarms, lighting controls, and more. After that initial installation, our decades of experience in the industry enable us to expertly integrate all of your brand-new devices into an encompassing Control4 solution. What does that mean for you? You will be able to access your home security system from anywhere in the world – whether it’s through a Control4 universal remote or in-wall touchscreen panel in your house, or from an application on your smartphone or tablet. Whether you’re at home or thousands of miles away from Iowa on a summer vacation, your Control4 system is designed to keep your property safe. Remote Monitoring: View live, high-definition footage of your property’s security cameras directly from your Control4 application. You can have 24/7 access to keep an eye on your house both during the day and in the evening. Remote Access: Not only can you watch home surveillance camera footage, but you also can remotely manage your security devices. From any Control4 interface, whether at home or on the road, you can turn on your alarm system, secure doors and windows equipped with smart locks, and more. Keeping your property safe can indeed be as simple as just pressing a button. Mockupancy Settings: While you’re gone, your Control4 system can simulate your day-to-day energy usage so that your house appears occupied while you are out of town. Connected lights and motorized shades will automatically operate, giving the appearance that you are home, even when you aren’t. Custom Push Notifications: Receive instant notifications whenever a door opens while your alarm system is activated or the moment a sensor detects a water leak or increased levels of carbon monoxide in your home. Within seconds, you can take the proper action – including notifying police or fire departments directly from your Control4 interface. At Reference AVS, our goal is this: We don’t just deliver standard home security installations. We provide custom solutions designed to give you and your family the ultimate peace of mind. Interested in learning more about our smart home services? Reach out to us today by clicking the button below.